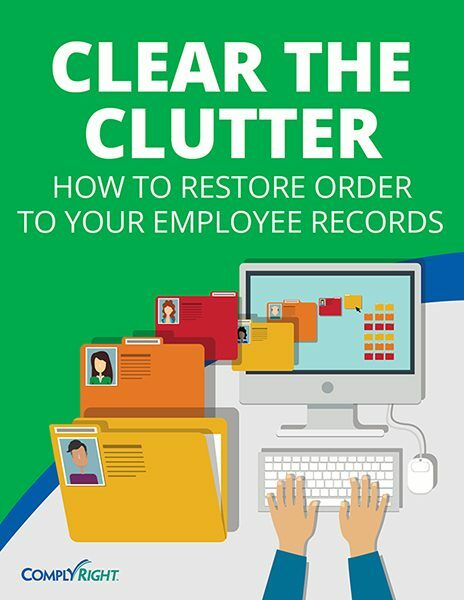 It’s easy to think of employee recordkeeping as nothing more than an administrative function and let good recordkeeping habits slip. Before you know it, you’re losing precious hours shuffling paperwork, tracking down files and records, and looking up the same information repeatedly. There are practical ways to simplify employee recordkeeping and, just as important, comply with legal requirements. Here are some tips to clear the clutter and calm the chaos.